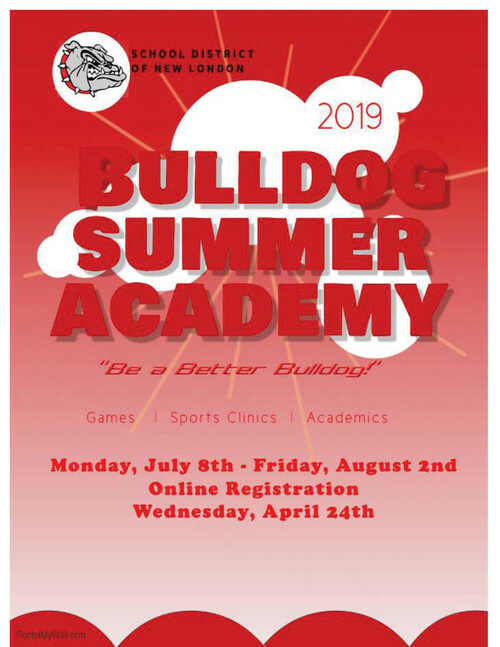 Summer school on-line registration will begin at 6:00 p.m. on Wednesday, April 24. If students are new to the district, from a private school, or attend a different district during the school year, please contact Teresa Huntley at 920-982-8540 and specify they are NOT a School District of New London student. They will then be given access to register.